Your favorite candy loving, booger producing friend is back! Uh oh, this time SB visits the city. 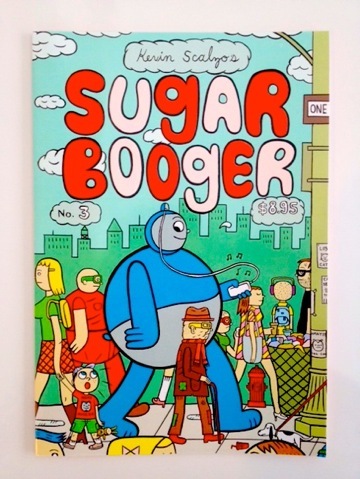 Look out Sugar Booger! His biggest issue to date, it measures 6 1/2" x 9 1/2". 24 pages, perfect bound, glossy card stock cover. Each issue comes signed, with an original drawing inside. All ages.